I would start off this post saying something cliche like "I just love Fall", but really, doesn't everyone love Fall? Temps are cool but not yet cold, it's finally football season, and Fall scents of apple and pumpkin are the bomb.com. It's the best! 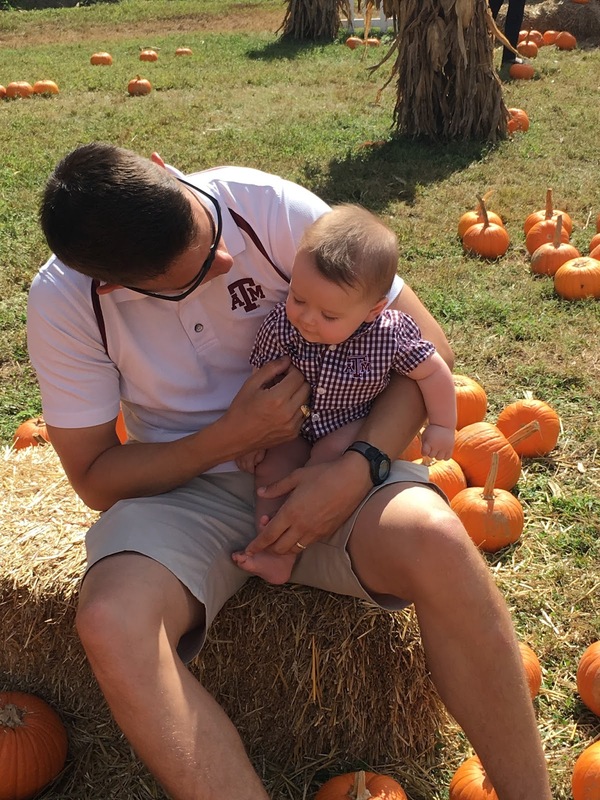 I love love love the pumpkin patch and have been so excited to take Preston to the pumpkin patch this year! I had two Fall pregnancies and took both my babies in utero to the pumpkin patch, so getting to take my cute, chubby baby in person was so sweet. My parents were in town earlier this month, so we decided to all go and make it a big family outing. I was in heaven! This pumpkin patch had so many pumpkins and so many fun things for kids- a petting zoo, pony rides, and carnival rides. Super cool for toddlers and kids, but obviously there wasn't much our baby could do to participate. We couldn't stay too long (#napschedule), but we were able to walk around the patch, take photographic proof that we made it, and of course pick our pumpkins. Both my boys were dressed in maroon since the Aggie game was on later that evening! Even though Preston had no clue where we were, he still seemed to think the pumpkins were cool to touch and play with. He is just getting to that age where he is discovering every little thing. It really is the most magical thing to relearn the world through your child's eyes, and I know it is only going to get better. 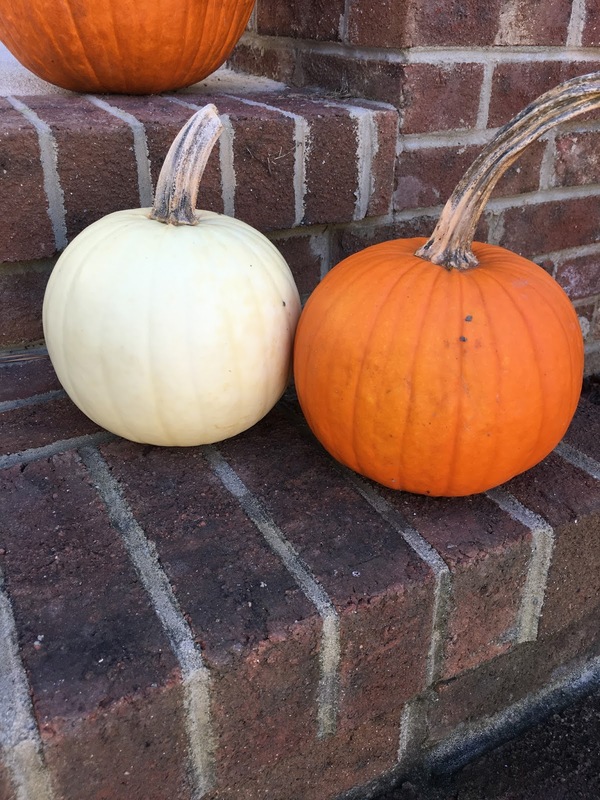 I picked a pumpkin for both of my babies before it was time to go. This was my third year in a row picking a white pumpkin for our angel baby, and it is one of my very favorite traditions. 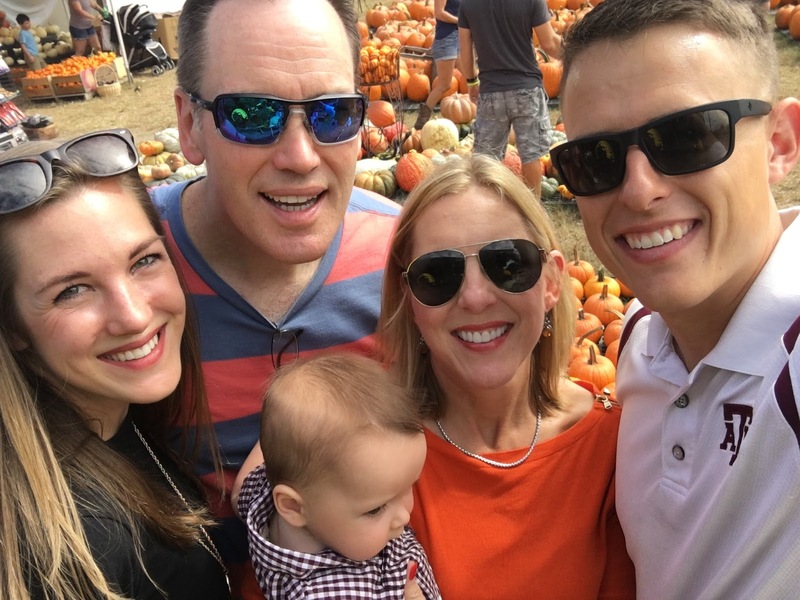 Like I said, I had a Fall pregnancy with Taylor and with Preston, but before I knew about baby Preston, I dreamed of taking Taylor Grace to the pumpkin patch. I won't ever get to do that here on earth, but I will always pick a beautiful white pumpkin just for her. 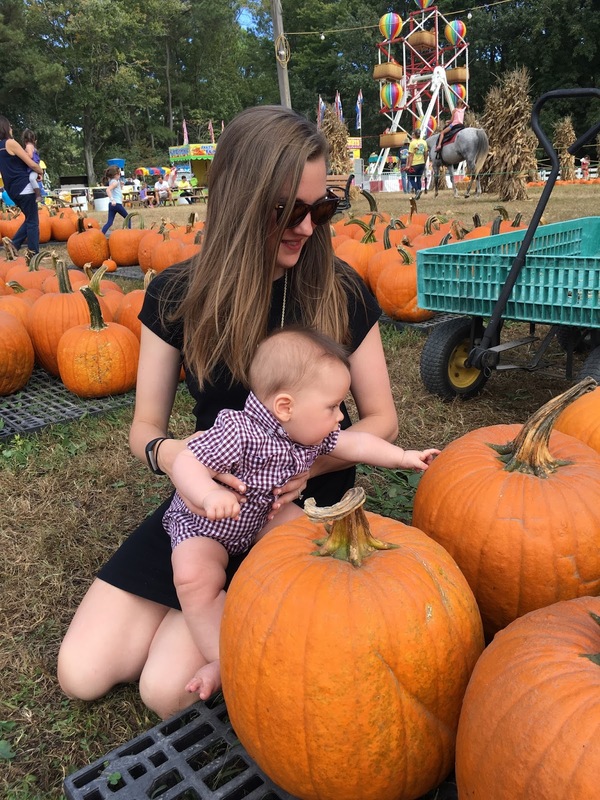 The pumpkin patch was so special this year, and as cheesy as it sounds, a dream come true getting to experience it with my perfect, healthy baby. God is good all the time, all the time God is good. Oh my goodness, this is so dang cute. We have ventured to several pumpkin patches here and it really is the best! Experiencing those moments with your kids is the best. It truly does keep getting better. I think every holiday is way more fun now watching it through their eyes. It makes it much more magical.